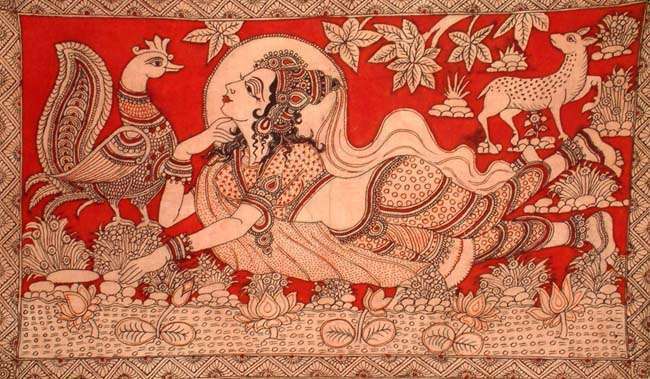 Mata Ni Pachhedi, commonly known as Kalamkari is one of the most famous prints in Gujarat. Though the state is immensely popular for its embroidery work, but Kalamkari has also been one such thing for which Gujarat has become one of the most desirable travel destinations of India. Though lot of people get confused with the kalamkari designs from southern part of the country, but authentic Gujarati kalamkari designs are completely different from the former one. 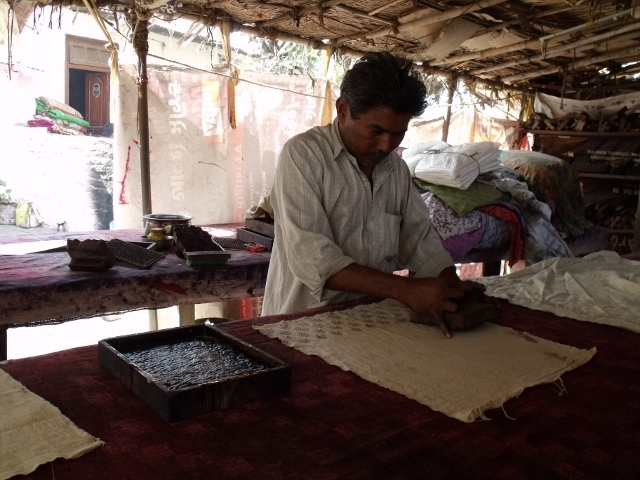 Ahmadabad is one such city where vast collection of kalamkari products is available. Kalamkari, locally known as Mata Ni Pachhedi, basically shows the designs of temple hangings and decorations. As the history says, nearly 200 years ago, some of the rural inhabitants of Gujarat made such hangings as a part of their rituals. These hangings look like curtains that have fine designs and patterns. From that era, this piece of craft is being used as Kalamkari. Mata-ni-Pachhedi, the local language, means behind the Goddess. It is said that a community named Wagheri was not allowed to enter the temple. So they made shrine for the mother Goddess and worshipped her there. The name Mata ni pachhedi was started from there. In modern times, of course the design is not restricted to temple hangings only. 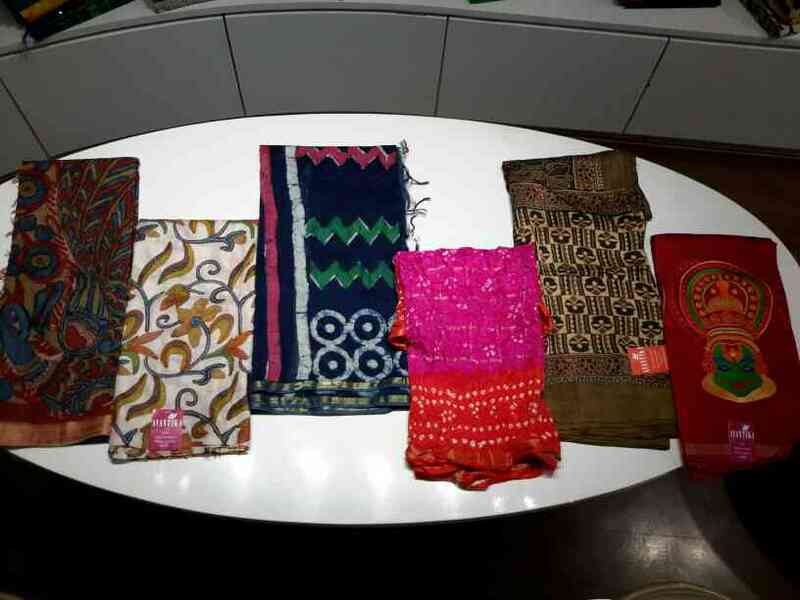 The designs are applied on Sarees, Dupattas, Salwar Suits, Kurtas, Jackets, Cushion covers, Home decors, mats, kitchen towels and many more usable products. painted around the Durga Mata print. Ahmadabad is the centre of such Kalamkari work. The work is originated form a nomadic people who have started painting on fabrics and later on started block prints. The communities such as Chitara, Waghera and such are the people who are form Ahmadabad and made this amazing craft work world famous. This Kalamkari has made the city Ahmadabad one of the centre travel spots in Gujarat.